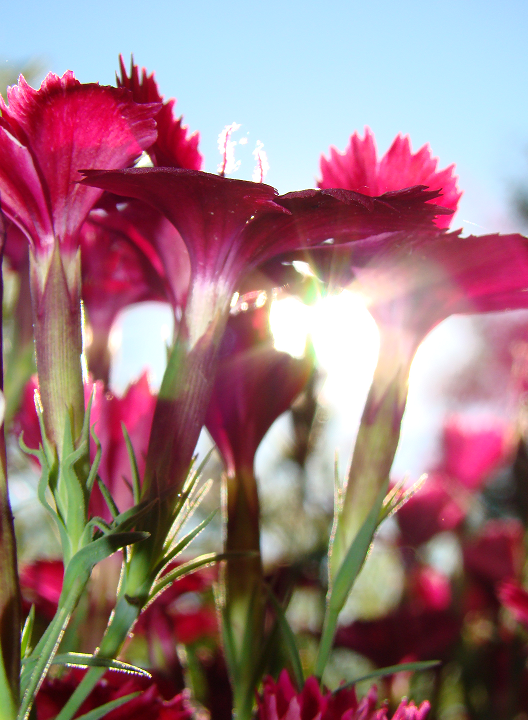 “Pinks” was originally the common name for the dianthus flower. 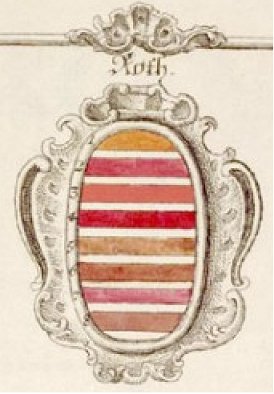 Regardless of hue’s popularity in fashion, the singular “Pink” didn’t gain its definition as rose colored until around 1733. Even as late as 1769, when Jacob Christian Schäffer created his lovely baroque color table, what we now call pink was often considered a pale shade of red. The exact color of puce is damnably hard to pin down. Sources tend to disagree whether puce is pinkish-tan or reddish-brown/reddish-purple and as I’m not inclined to examine fleas by age or anatomical part (both of which define puce, apparently), we are going to rely on source material. The Royal English Dictionary of 1775 defines pink as: “A small fragrant flower, of the gilliflower kind; anything supremely excellent; a reddish color, resembling that of a pink.” I rather like the middle definition. The ladies below are supremely excellent. Yes, the broad use of pink is somewhat confusing. During my research, I ran across Dutch pink which was also called English pink and Italian pink (they all wanted claim to it!) and is apparently from buckthorn. I’m afraid I know nothing about making colors but it makes for interesting reading. Thank you for the link–very illuminating. I always did think of puce as that third bar up from the bottom on your colour table. Sort of a sherry in fact. 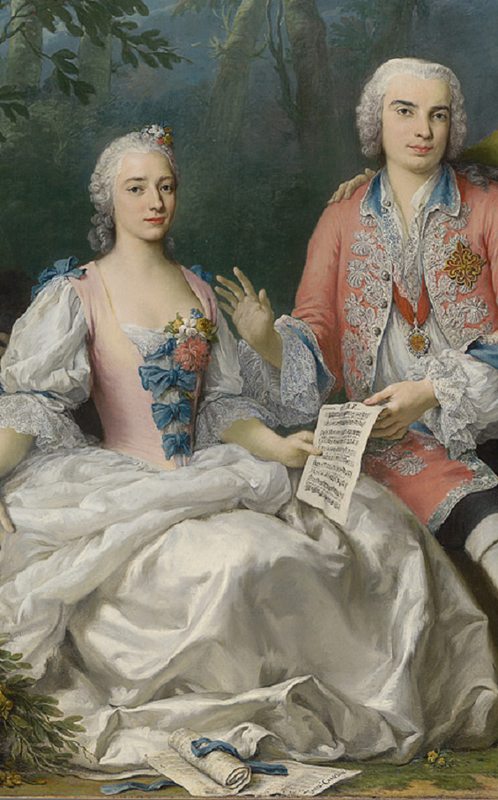 All these pinks are fabulous and the Duchess of Medinaceli’s gown is to die for. Sherry is a great way of describing it. I tend to agree; fleas look more brown to me than pink but it appears there were many puces (how awful is that word!) and a few tended towards a pinkish tan color. I wish I knew of some period gowns that were considered to be “puce” by contemporaries but no luck so far. 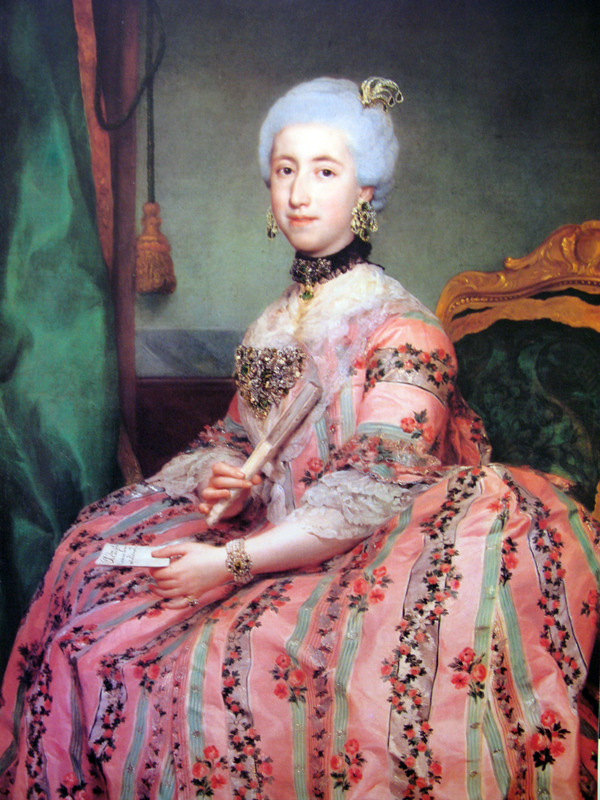 I quite like the D of Medinaceli’s gown too. At first I wasn’t sure if it was a disaster but the elaborate pattern has grown on me. I think men wore puce. Men or matrons who were not en vogue. The D of Medinaceli’s gown is a triumph of Spring over underlying frump. My Grandmother had these lampshades of embroidered tulle over fluted bakelite bases that were very much in the same spirit. Who wore puce depends on the time period. When Marie Antoinette wore it I’m sure even the dogs running around Versailles’ feet might have been candidates for a ribbon or a bow of flea. The problem with puce is it has a bad reputation and the most awful name possible. Maybe it sounds different to Native French speakers? I absolutely love your analysis of D of Medinaceli’s gown. It’s beautiful but there’s something wrong about it. I think it is frump! your blog is always very beautiful visually as well as excellently and interestingly written. I am a longtime silent follower from the pacific coast *riviera* of Santa Barbara who catches up on your blog every few weeks. I especially appreciate learning about the lives, travels and art of historical or influential women and the unusual information uniquely composed which i can read from your blog…i have enjoyed many fascinating posts including this one about puce, a color description which i have come across infrequently in novels and mistakenly assumed was just an awful drab color. Thank you. Also thank you for popping out of the silent follower crowd for a quick hello! It’s always fun to hear from individual readers and I have duly noted what you especially like to read about. Expect more from hereon out. I must admit I feel a twinge of longing as I look outside at piles of snow and think of Santa Barbara. I’ve only been there once but what a beautiful place to call home. This post has left me feeling a little conflicted. I am deeply impressed by the depth of historical context here, as well as the informative and entertaining use of artistic expression throughout the 18th century. The granularity of detail is always a joy to read! 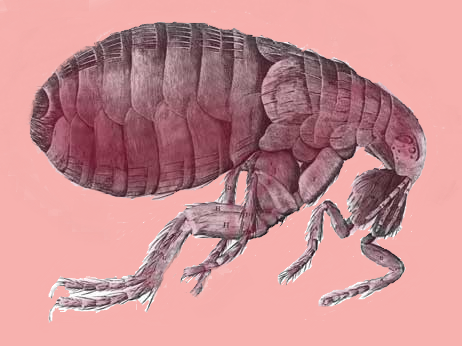 After living in Paris for several years, I am embarrassed to say that the color ‘puce’ never occurred to me as being related to a flea (particularly with the Marche aux Puces being visited frequently)! My ambivalence relates to a color experiment in process – my 6 month-old daughter is enduring a range of spectral explorations – both of her parents feel that pink needn’t be thought of as feminine, that girls can be freed from the tyranny of pink, that other colors should be available for her. Strangers would see her and exclaim, ” what a beautiful boy?” We nod and say, “girl.” They’d apologize, saying that they were thrown off by her vivid green outfit and bright orange hat. Surrounding her birth, we were overcome with toxic clouds of lurid pink gifts, wrapping paper, onesies, pajamas, dresses, hats, bibs, bottles, socks, sheets, plush… Dogs could hear the intensely sugary color giving off a high pitch whine from a mile away. Don’t get me wrong – she does indeed look adorable sporting these pink things and we are grateful, but the, overwhelming commercial indoctrination got me thinking about how this happened. I’d always believed that an early 20th century PR campaign in the US had established the tradition of pink for girls and blue for boys. But what I read here and in the links you’ve posted is more nuanced and organic. It also made me read up on my own. I sympathize with your color experiment. I’ve had a fraught relationship with pink ever since I can remember. 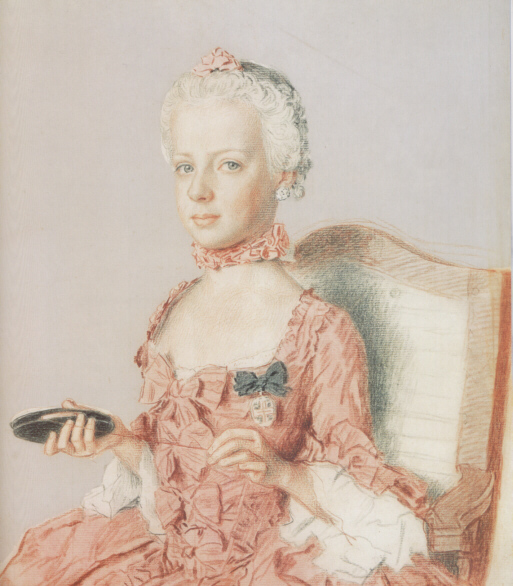 During childhood pink seemed the epitome of girlie, specifically the anti-outdoors, anti-intellectual temperament where one is concerned with “pretty” to the exclusion of all else. I have since recovered from my extreme bias, but pink still has the ability to make me shudder. Had I known it was once recommended for boys as the bolder choice over dainty blues, might I have developed a different schema and adored pink? I’d like to think early gender modeling relies upon androgyny rather than polarity but it seems rather wishful in public practice. Pink is easy. Thought is not. Best of luck with oranges and greens and such! If all else fails, you can always yield to the new gender neutral: yellow. Although I really enjoyed this read; the use of John Copley’s work is used out of context. 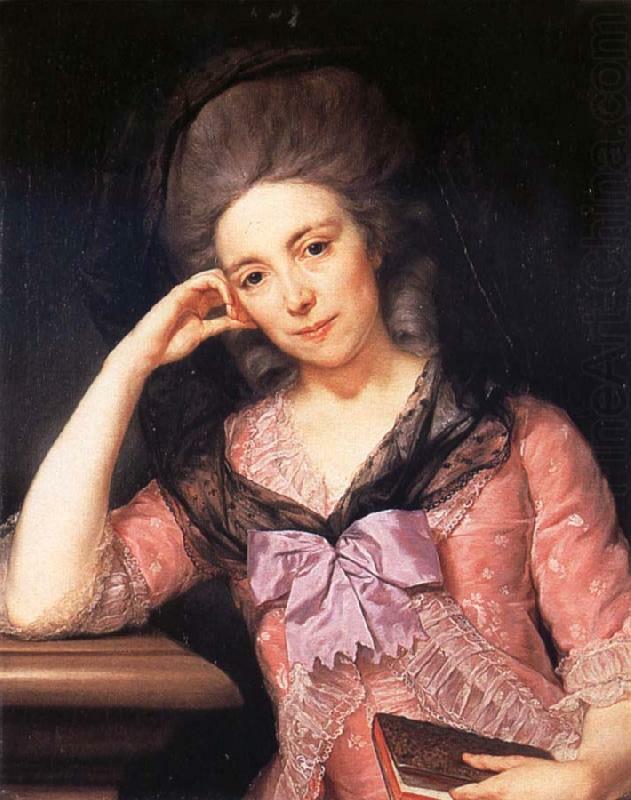 Although Mrs. Watson is wearing a pink dress I’m not sure if you are depicting her in context with the “puce-pink” that was referenced from the book by Weber. The French revolution took place in ~1789. 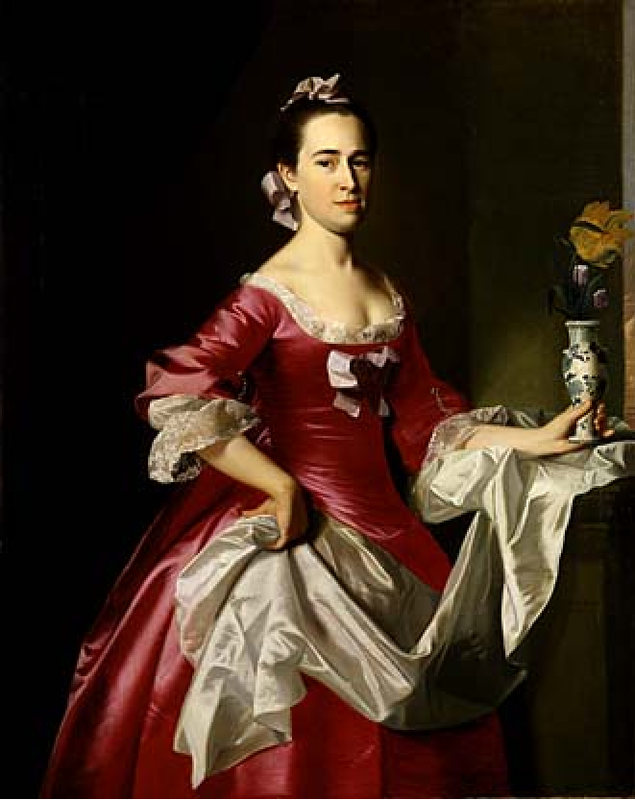 Copley painted Mrs. Watson when he was 27 years of age, roughly the year 1765, give or take. The reference use of that color would not have been an item used within New-England at the time. You are absolutely right about Mrs. Watson. When taken strictly in the context of the French Revolution and Weber’s reference to puce, she seems an odd choice. But, the post contains a general, if anecdotal, history of pink along with a mish mash of lovely ladies bedecked in the shade. The only thing most of them have in common is that they are indeed wearing pink. I didn’t want to dismiss Mrs. Watson in her glorious deep colored dress on account that she’s American and is, perhaps, more contextually liberal than her companions. She was an aesthetic choice not a literal one, and I thought she would add to the range of pink shades. I’m glad you (otherwise) enjoyed the post 🙂 Opinions are greatly welcomed here and it’s nice to know someone is paying close attention!